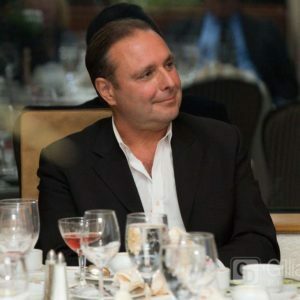 Steve Ratti is an inductee to the Advertising Hall of Fame of NJAdClub and is the Managing Editor of Ratti Report, an Asbury Park based investigative news and insight resource delivering actionable new business intel to advertising, digital & communications agencies nationwide. In 2010, Steve started sharing new business leads via Twitter. That turned into a blog that grew up to be Ratti Report. In total, Steve has reported on over 7,400 stories and helped advise some of the most respected ad agencies in the country find, pitch and win new accounts. As a community participant, Steve is a member of the Asbury Park Chamber of Commerce, Historical Society and Homeowners Association. Steve has also been an elected Monmouth County representative serving Asbury Park’s 4th District. Steve is also associated with the disaster relief organization Burners Without Borders. In the aftermath of Super Storm Sandy, Steve’s home was transformed into their hub of operations. As with Hurricane Katrina, Burners Without Boarders moved destroyed houses to the street as FEMA requires. All in all, the organization had gifted over $2 million in demolition work to the residents of New Jersey.